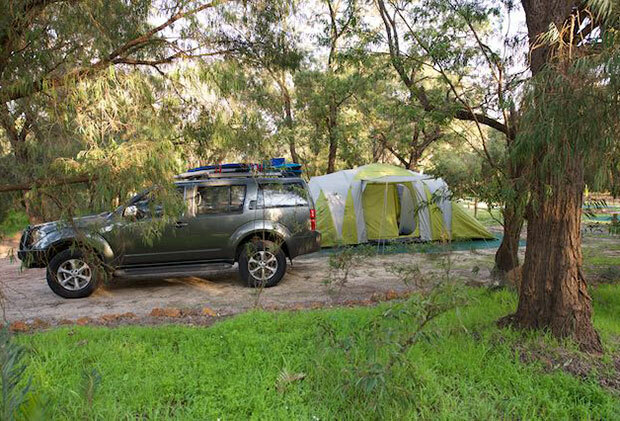 Feel like packing the tent, sleeping bag and torches into the car for a Margaret River camping adventure? How about cooking marsh mallows on the fire? Time to get away from it all and sleep under the stars for a night or two? 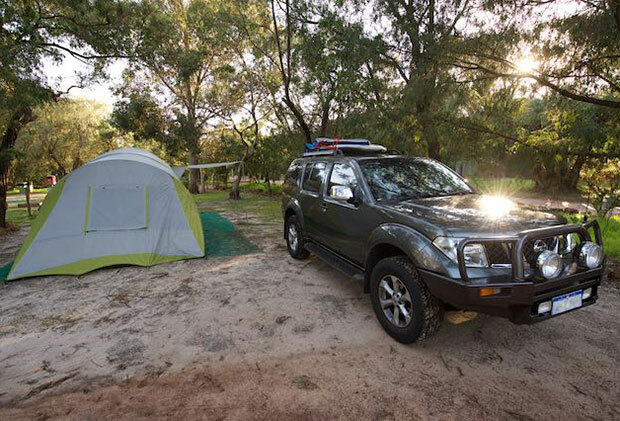 Gracetown Caravan Park is set in a natural bush location close to Cowaramup Bay with camping sites that have all the modern convinces like a camp kitchen and clean ablutions. Camping can be great fun, setting up the tent, exploring new places, spending the day at the beach and just getting out there and living! 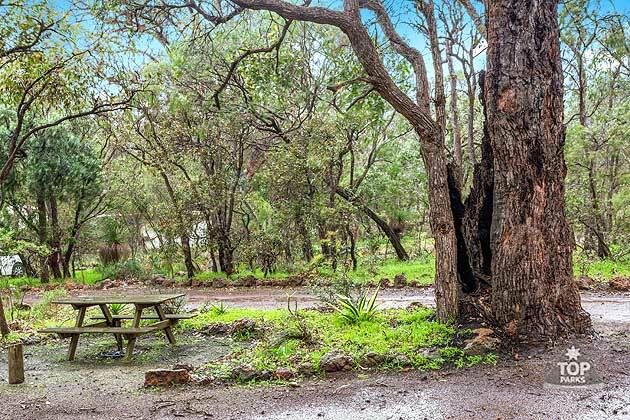 Gracetown Caravan Park offers powered and unpowered camp sites on level ground with shady trees and plenty of wildlife and wildflowers to see. Camping sites are separated by trees and small bush walking tracks for everyone to enjoy a little bit of private space. With kangaroos and possums you won’t even know you’re in a caravan park until you have a hot shower after fishing, surfing and swimming all day. Take advantage of the camp kitchen and cook up a yummy meal. We bring the goods to you during the school holidays! 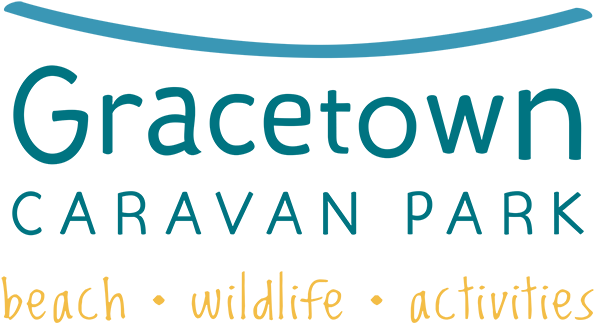 Make the most of the activities available and holiday services when you come camping. We have powered sites and un-powered sites to suit everyone’s budgets. Make a booking with us directly to ensure your get a camp spot for your holiday.